Whether you live in the dorms or were lucky enough to grab an off-campus apartment, finding food that’s tasty, healthy, and cheap is always the greatest struggle of the average college student. 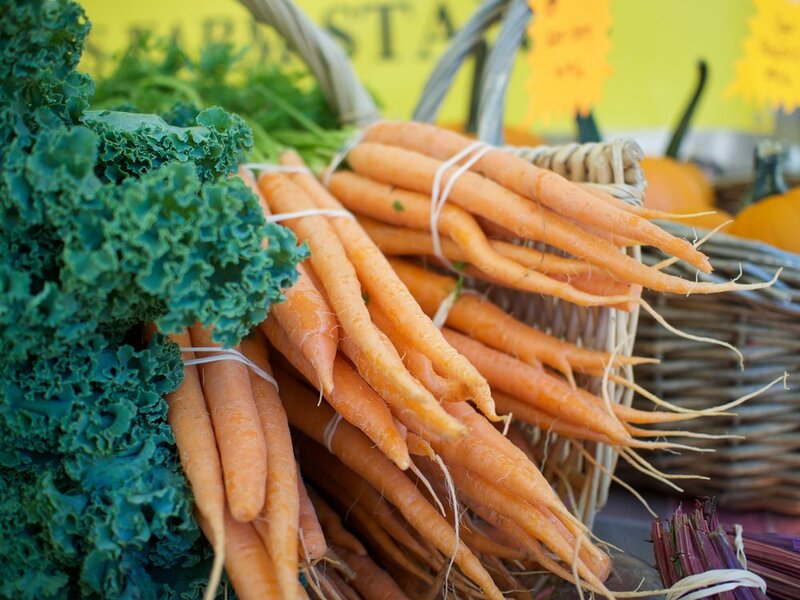 If you’re a fan of a healthy lifestyle, farmers markets are the right place for you to buy some groceries. Luckily, you can find one every Thursday from 11 am to 3 pm in front of the GSU. I recently had the chance to chat with some of the vendors to learn more about their products and their experience on campus. If you are looking for a snack, you can stop by Q’s Nuts for a tasty bag of almonds or pecans. Brian “Q” Quinn has been the owner of Q’s Nuts for 16 years, along with his wife, Beth. This family-owned nut company offers a variety of sweet and savory roasted nuts. You can find all kinds of unique combinations, like Q’s personal favorite, “sweet and sassy,” a sugar-coated nut mixture with a hint of hot spices. If that’s not up your alley, his two most popular products, chocolate coconut almonds and sea salt cashews, are sure to please. If you’re overwhelmed by the multitude of choices, Q loves to give out samples and help you find the right taste for you. All his products are vegan, as well as dairy-, soy-, and gluten-free. The nuts are hand-processed at their first location in Davis Square, Somerville. If you can’t make it to the farmers market on Thursdays, you can find Q’s Nuts at the Boston Public Market, right in front of the Haymarket T stop. For all of you with nut allergies, don’t lose heart! You can always shop for fresh veggies and fruits at the Marshall’s Farm stand. Founded in the late 1800s as a dairy farm, the owners started growing organic vegetables in the early 1960s. The original farm is located in the North Shore, Gloucester, but most of their stands are at college campuses, like the ones at BU, Northeastern, and UMass. You can find almost everything at these stands, like kale, spinach, Brussel sprouts, berries, and local honey. If you are new to healthy cooking, you can easily talk to Bob Marshalls, the vendor at the stand and member of the family farm; he loves sharing recipes and cooking tips with the students. But maybe your schedule is super packed and you just don’t have the time to walk around the market and chat with the farmers. Well, there is an option for all you busy students. Ward’s Berry Farm offers a weekly box full of seasonal goodies that can be ordered online and picked up every Thursday at their stand. The boxes feature farm-fresh products grown in integrated pest management cultures, a strategy that identifies and manages a specific pest after adequately monitoring the crop. This technique is effective because it targets specific organisms, reducing the harm of chemical control. If you wish to visit their stands, you can find them in eight different farmers markets in Boston, Cambridge, Wellesley, Medfield, and Norwood, or visit the farm in Sharon. So if you love cooking with fresh veggies or eating healthy snacks, stop by the stands outside the GSU on Thursday afternoons and talk to the farmers who run them. They are always happy to share their knowledge and learn from you.